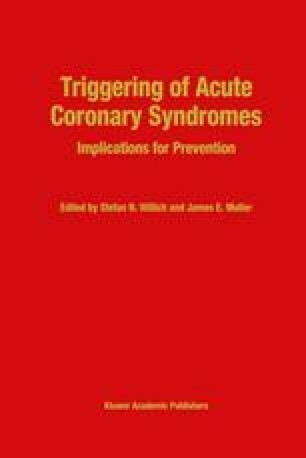 Joslin was of course describing the circumstances that lead to the clinical expression of diabetes mellitus, but the quotation would be equally appropriate as a summary of the conditions that precede a myocardial infarction or sudden death in an individuals with underlying coronary heart disease (CHD). It is essential that we remember that a “trigger” is not a root cause, but rather is a last straw, a final event that causes a last link in a chain of events to be put in place, and thus results in an abrupt change in clinical status. The event itself is of such a dramatic nature that the conditions immediately preceding it are often mistakenly thought of as causal and necessary, rather than as accelerators of a process likely to have inevitably led to the same outcome, albeit somewhat later.